Sign up and receive Property Email Alerts of Vacant Land for sale in Zwartkloof, Bela Bela. Get back to nature in an exquisite Estate situated in the Zwartkloof Game Reserve. Only twelve (12) vacant 2500sqm stands are still available for purchase. This is an opportunity not to be missed, a chance to buy into a unique development that will provide many family memories and experiences for generations to come. Where wildlife roams freely, the Estate is home to natural game movement like Buffalo, Leopard, Kudu, Nyala, Waterbuck, Zebra, Blue Wildebeest, Impala, Duiker, Steenbok, Giraffe, Warthog etc. as well as an abundance of over 200 species of bird-life. 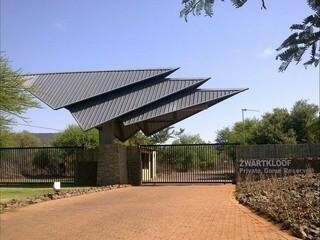 A nature lovers paradise in which you can build your dream eco-friendly / bushveld holiday home! Sign-up and receive Property Email Alerts of Vacant Land for sale in Zwartkloof, Bela Bela.